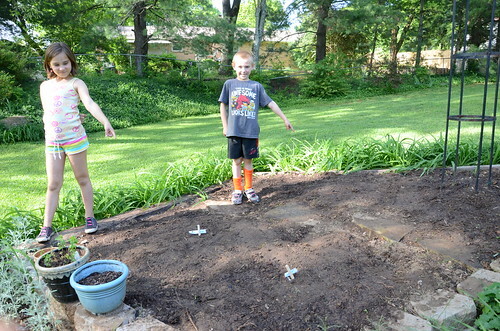 The kids decided they wanted their very own garden this year. When we received a seed catalog in the mail this winter, they went to town picking out what they wanted to plant. I decided I would let them each have a side. They picked out mostly flowers, but Miller did pick out some beans. It has been so nice out. The kids have been begging me to plant their seeds, so I finally gave in. I got some cilantro, dill, lavender, and tomato seeds. I still need to plant some basil. We signed up to do a CSA again so I am not going to stress out about our garden this year. I know I will have plenty of organic, local fruits and veggies coming my way. 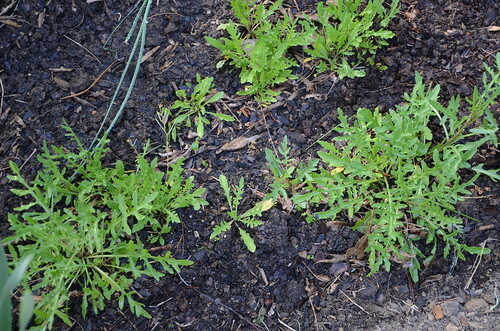 My parsley is still looking good. 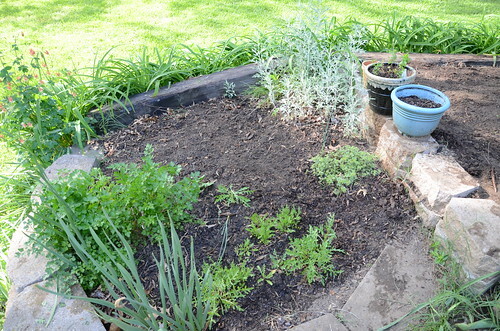 I also have some chives and thyme that came back from last year. The biggest surprise was some arugula that popped up. The kids love tasting all the different herbs. It is not uncommon for one of the kids to come in from playing outside with parsley breath. Thanks for reminding me about the CSA. This is the year I'm going to join. We go to the Farmers market anyway in the summer so going to pick up stuff already paid for will be fun. The baby blanket was very cute. Even for someone who doesn't have kids. Oh I have to keep scrolling to see your finished kitchen.